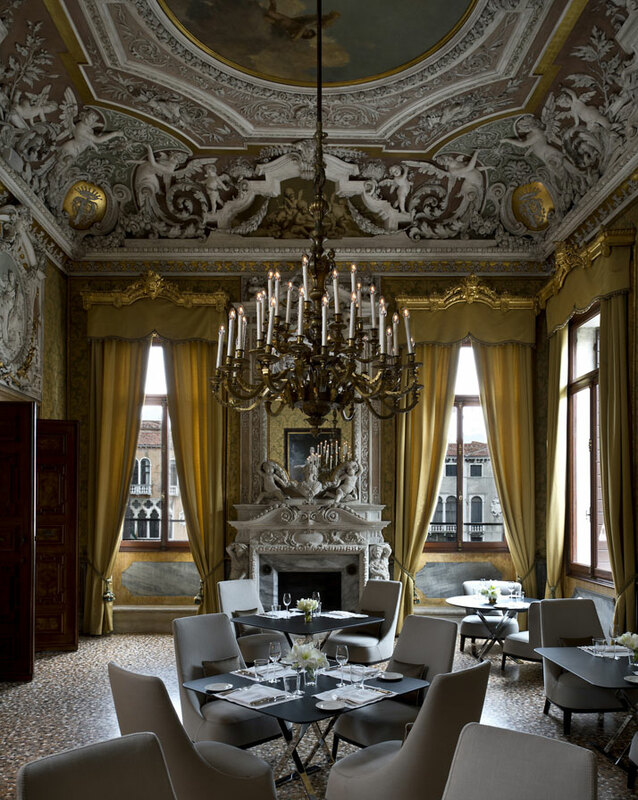 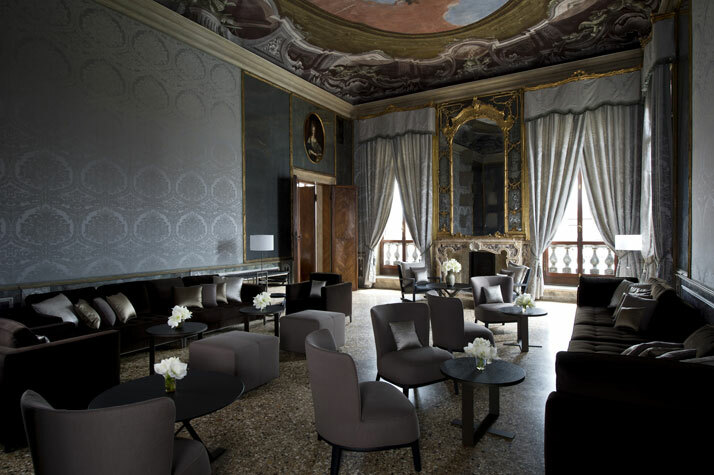 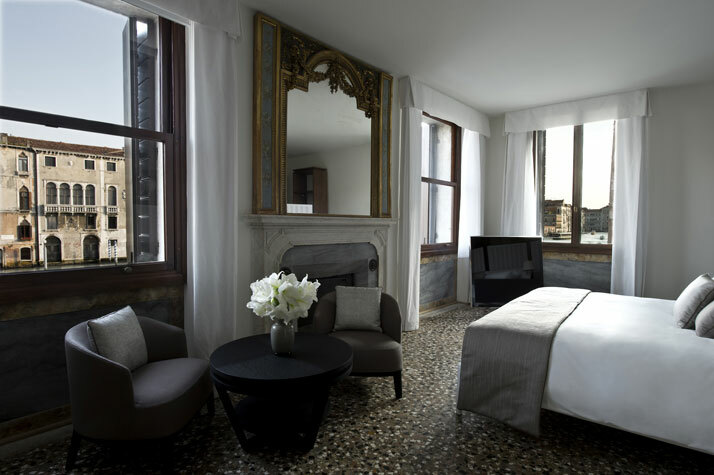 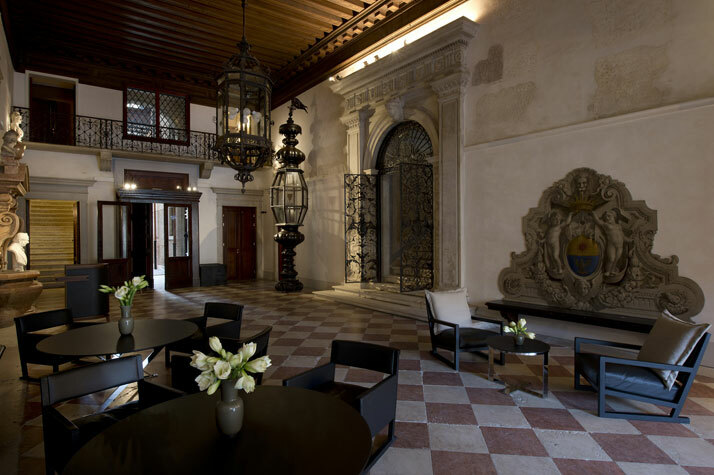 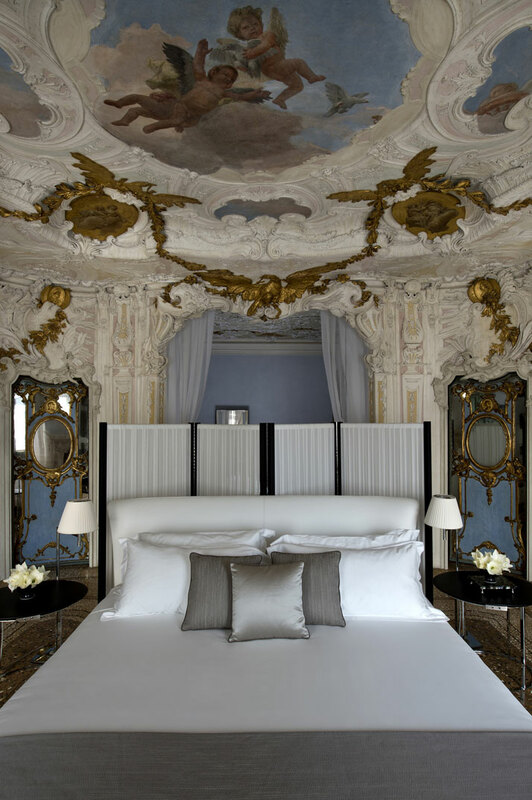 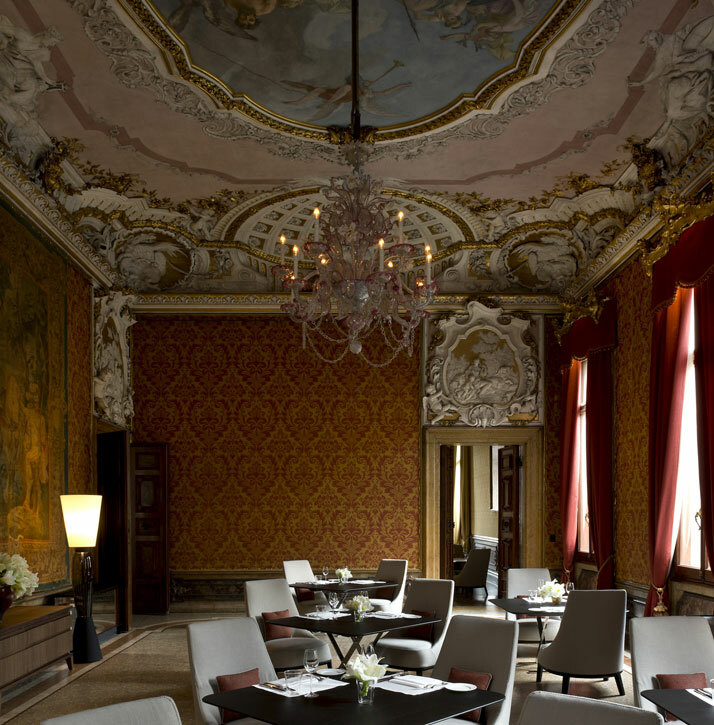 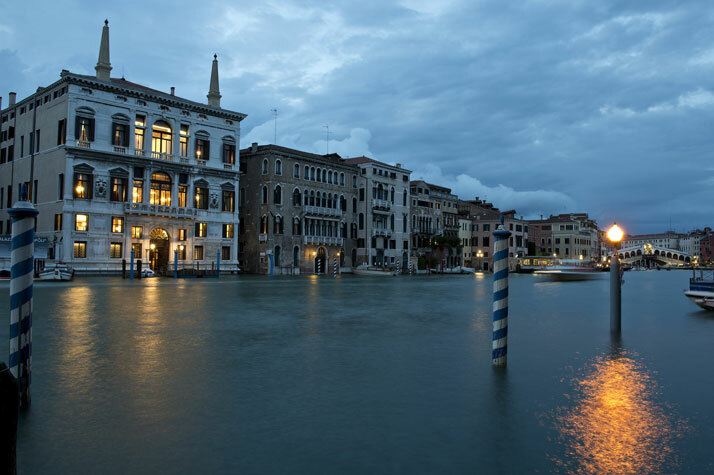 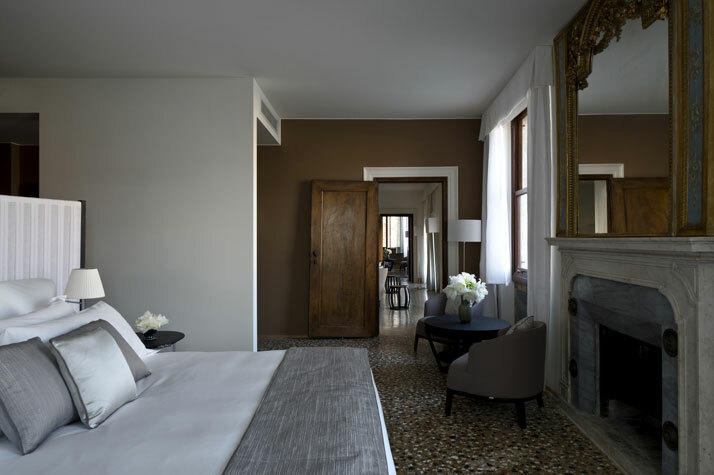 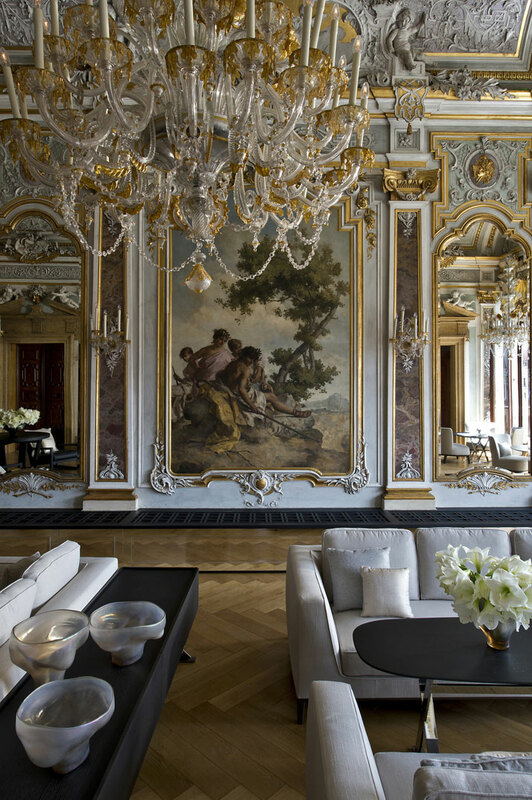 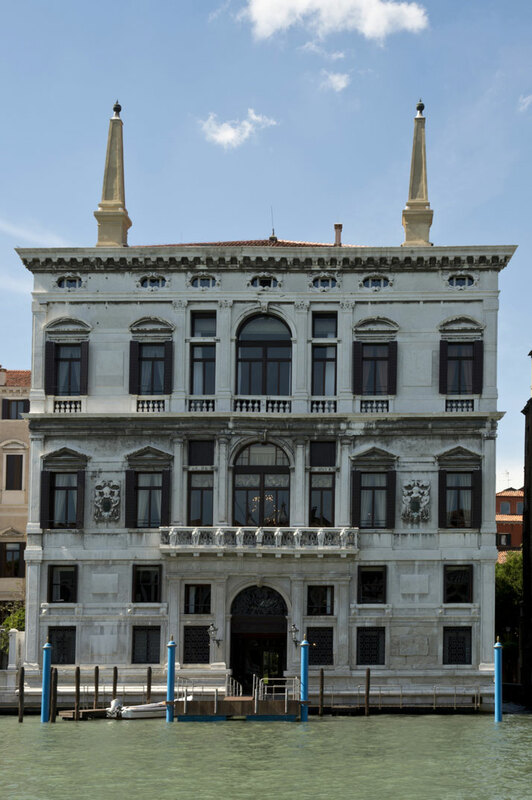 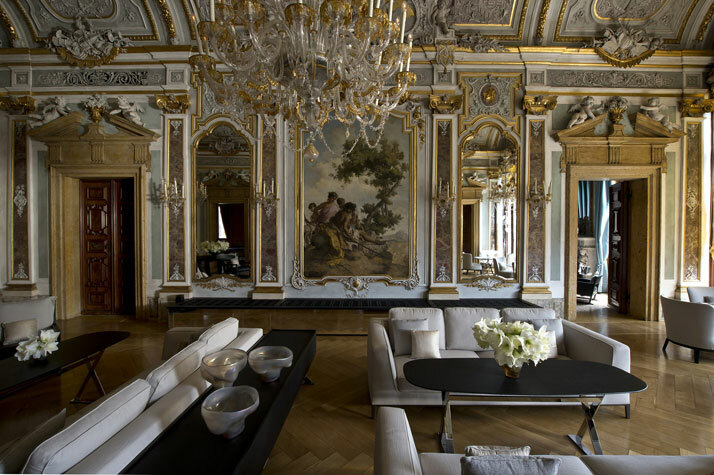 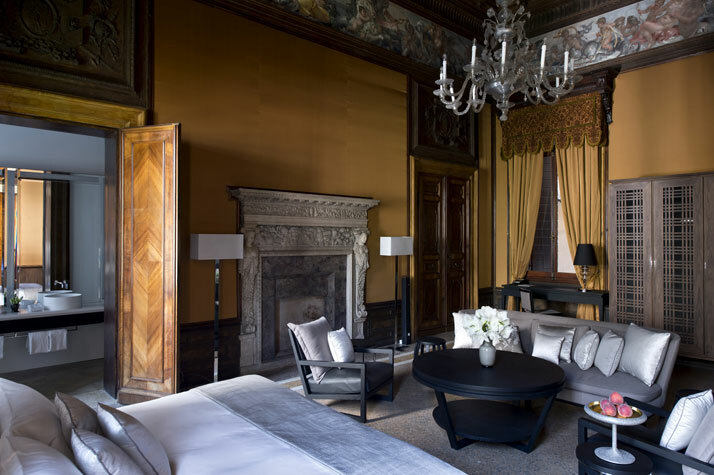 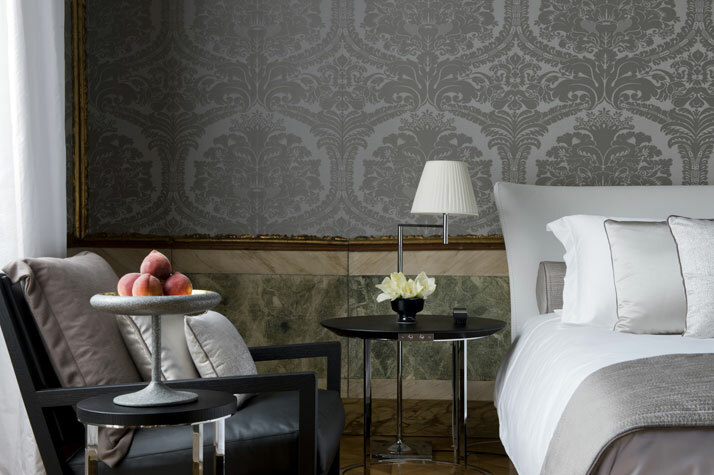 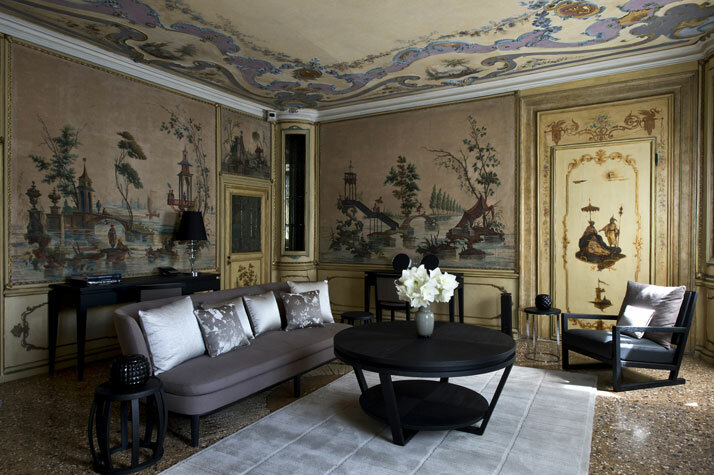 Aman Canal Grande Hotel, Venezia, Italy — Guests usually arrive at the property by boat, docking at a landing that leads directly into the palazzo’s Reception Hall. 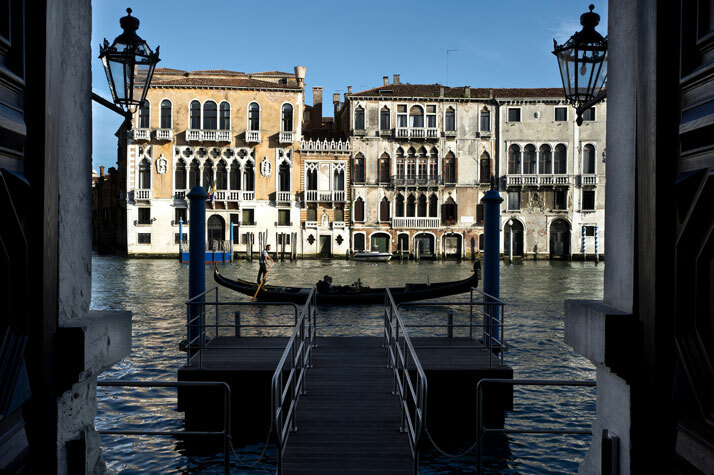 A sweeping staircase rises through two levels to arrive at the reception area for the Dining Room, which overlooks the Grand Canal and serves Italian and Asian cuisines. 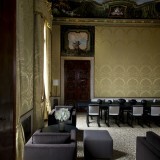 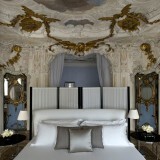 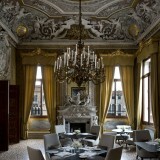 This is situated on the piano nobile – the grandest floor of the palazzo. 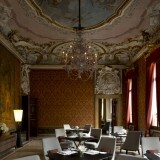 The main dining area is housed in the ballroom. 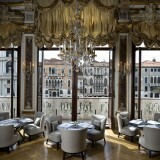 The Yellow Dining Room and the Red Dining Room lie adjacent to the ballroom, with views over the Grand Canal and the resort’s Garden Terrace respectively. 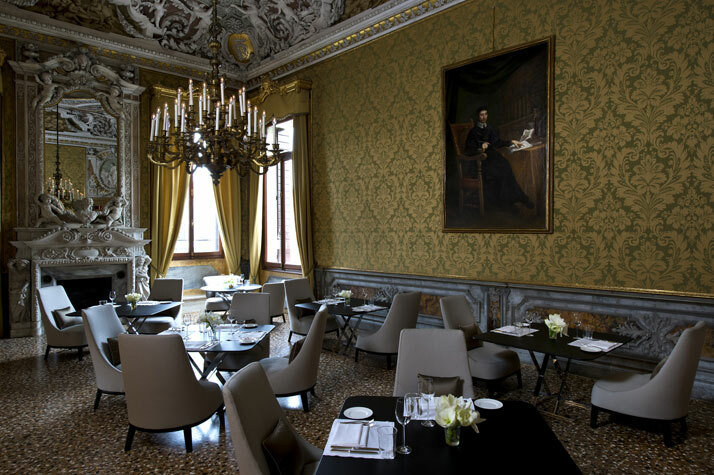 Named for their colour schemes and featuring ceilings painted by the renowned 18th-century artist Giovanni Battista Tiepolo, each room has a number of dining tables and provides an intimate setting within grand surrounds. 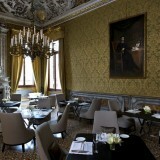 Accessed from the ballroom is the Bar which provides a cosy setting with canal views. 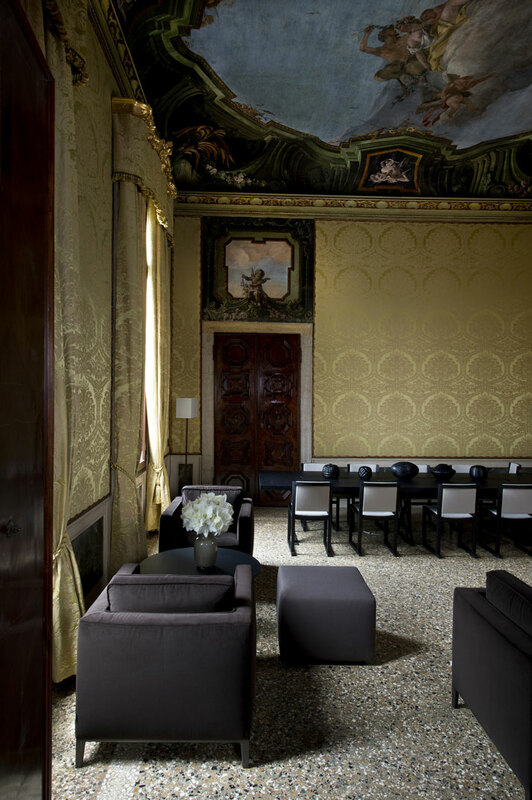 The fourth level houses the Salon – a regal, lofty-ceilinged lounge and relaxation area featuring a grand piano. 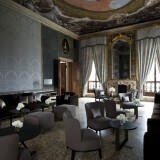 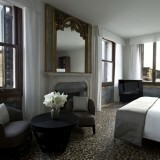 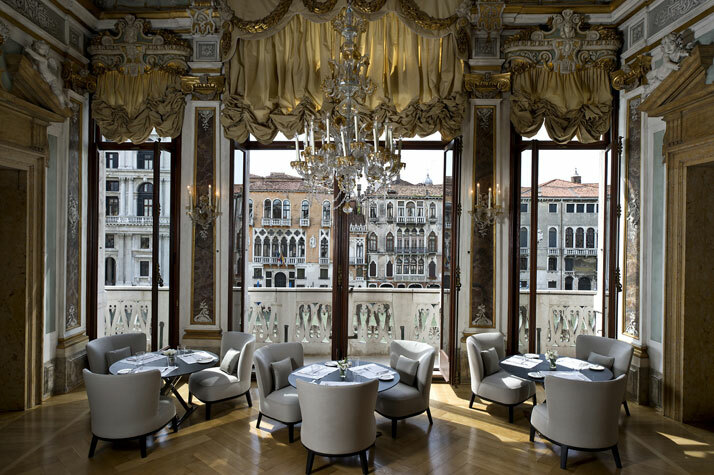 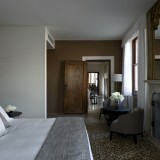 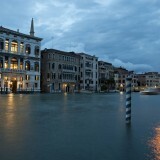 The Salon is divided into two large areas with expansive windows providing views of the Grand Canal. 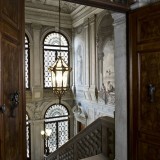 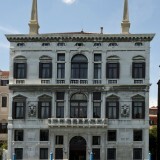 Similar views are enjoyed by the historic Library which is situated adjacent to the Salon. 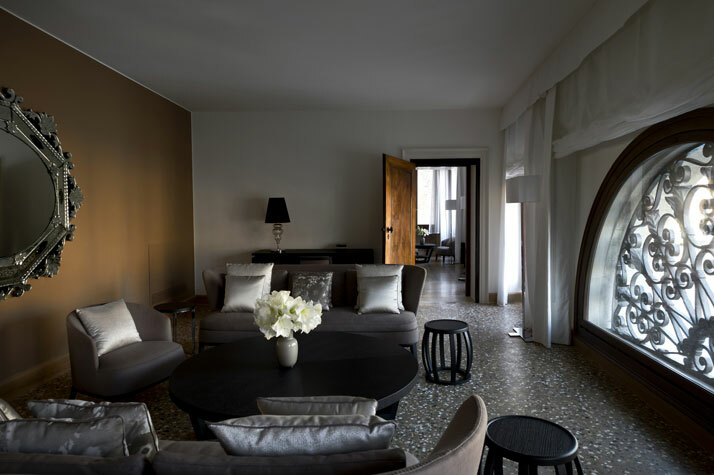 An elevator provides access to the Roof Terrace. 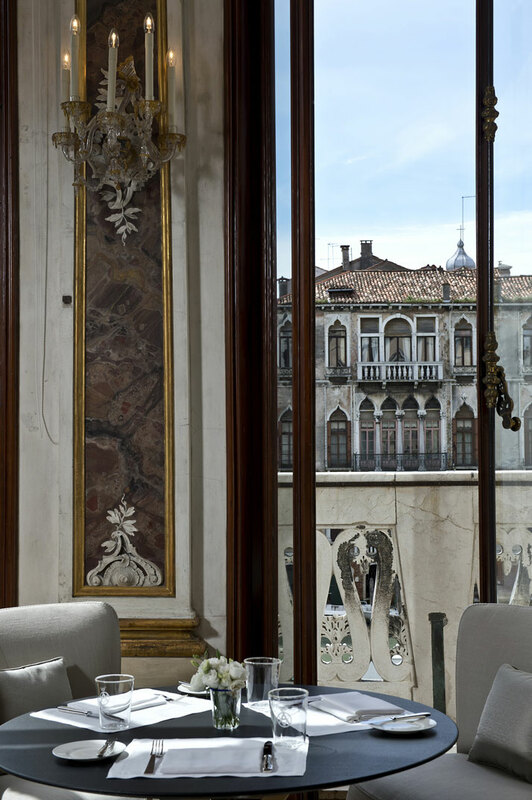 Intimate in scale and evident in many of the buildings within Venice, the terrace is best visited early in the morning or at sunset, and is the ideal location to view the rooftops of the city. 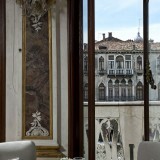 On a clear day, the Alps are visible in the distance. 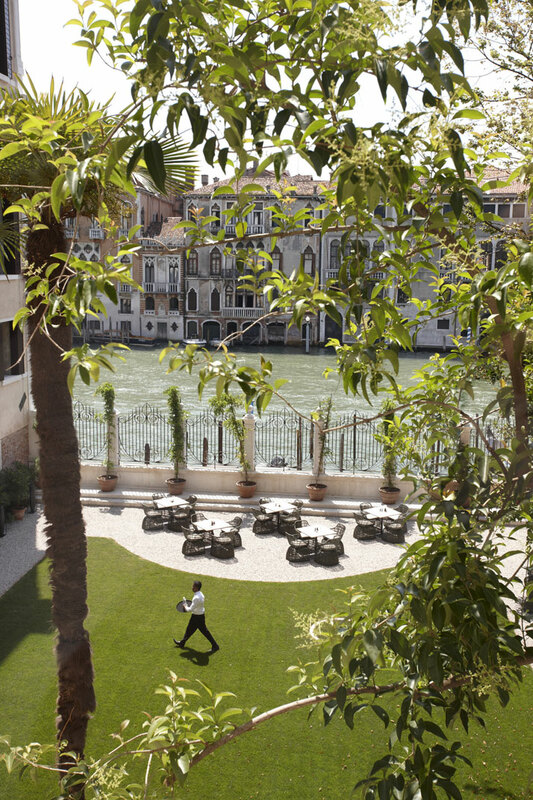 Fronting the Grand Canal is the Garden Terrace, one of very few private gardens on the canal. 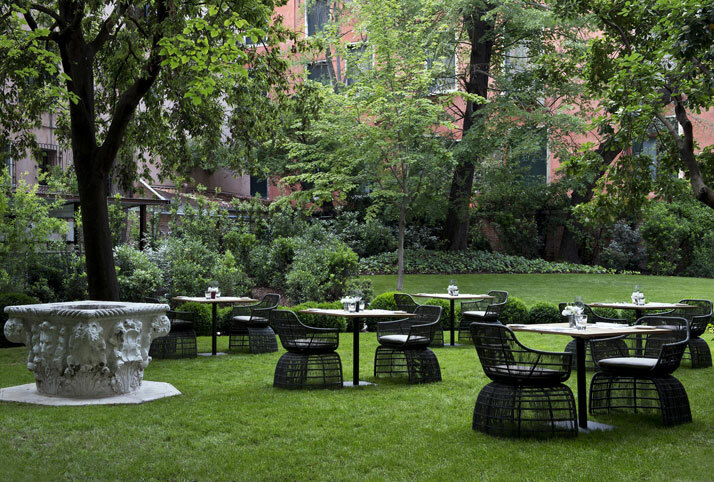 Mature trees and a quadrangle of verdant green grass provide the ideal setting for a relaxing hour or two, or an al fresco meal in the warmer months. 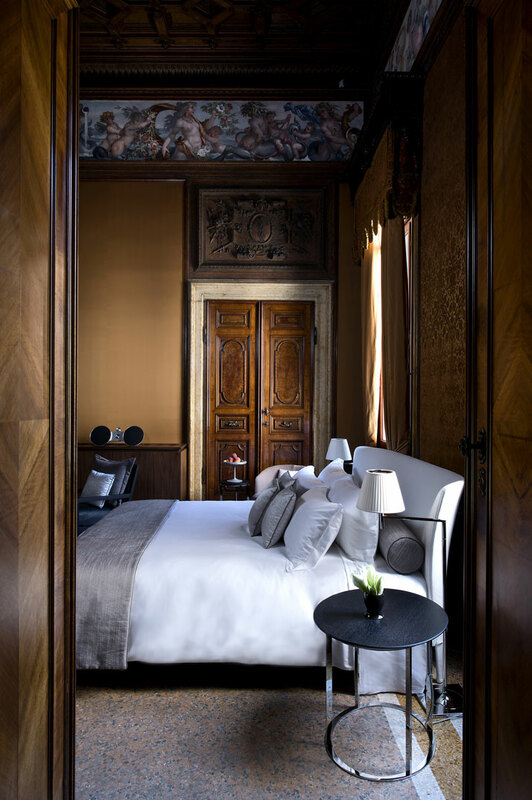 Aman has a second hidden Private Garden with soaring trees that provides a serene setting for resort guests. 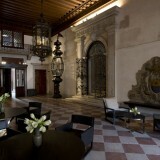 It also provides walking access to San Polo. 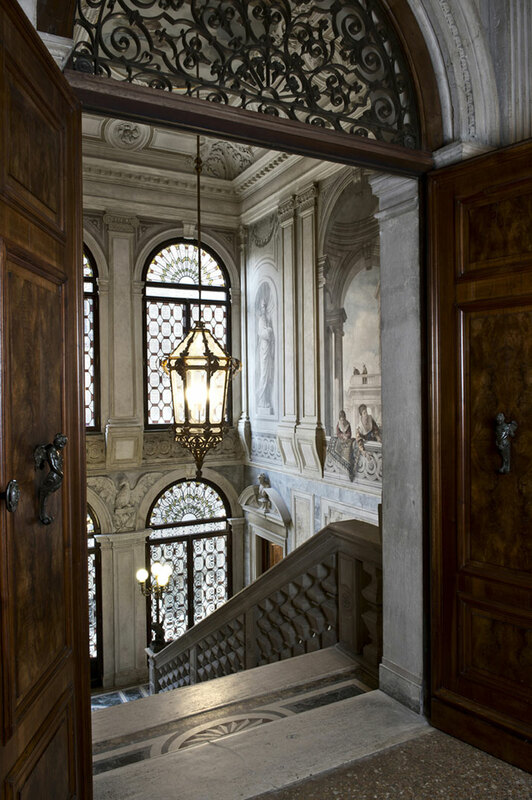 Pallazo Papadopoli, Calle Tiepolo 1364, Sestiere San Polo, Venezia 30125, Italy.